Image: Sean Gallup/Getty Images. All rights reserved. Since 9/11 there has been considerable discussion of how Islam and Muslims are represented negatively in the news. 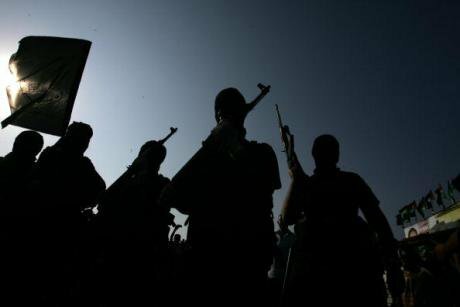 The rise of various Islamist groups, due to globalisation, post-colonialism and post-Cold war politics in particular, has resulted in an intensified identity politics which plays out across the media. So with 2.7 million Muslims identifying as such in the last Census, 2011 - the actual figure is thought to be nearer to 4m - how does the BBC represent Islam to an increasingly diverse audience? And with accusations of Islamophobia levelled at the media in general how does the BBC’s coverage compare? Few studies are available to answer this question systematically. However, a recent AHRC/ESRC funded project on representations of religion in the British media offers to shed some light on this. The study, of which I was a co-author, compared coverage of religion in both UK newspapers and terrestrial television from 1982 to 2009 recognising the vastly different landscape with respect to both religion and media in the UK in these two periods. As well as examining two months of coverage in three UK newspapers, it examined a week’s coverage on BBC1 and BBC2, and ITV, recording all references to 19 keywords associated with religion (including Islam). This was followed by a qualitative analysis of significant content. A crucial component of the study was that it was not confined to news, or what might be considered religious broadcasting, but included all coverage. A key finding challenged the assumption of the 1980s that religion and along with this, religious content would decline. The BBC had previously protected its Sunday ‘God slot’ through quotas but, subject to an increasingly competitive environment, began diversifying their content in terms of genre and formats. This new vision was actualised in the form of a new Head of Religion and Ethics (2009), Aaqil Ahmed, who commissioned the acclaimed series The Life of Muhammed in 2011. It was true that formal religious broadcasting had declined by 2009, with the BBC only showing three programmes from this production unit Songs of Praise, The Big Questions and Around the World in 80 Faiths, in the week we analysed. Yet, despite this, our research showed that, across the time period, religion had neither increased nor declined - with 1,672 references to religion in 2009, compared with 1,630 in 1982 (on all three channels). Contrary to popular belief, more reference was made to religion on independent television, than on either of the BBC channels, but the margin had increased by 2009 largely as a result of references to religion in advertisements. Many of these references were metaphorical. In both periods, Christianity was covered more than any other religion. However, the number of references to Islam increased significantly between 1982 and 2009 (from less than 1% to 3.1%) and had overtaken references to any single Christian denomination. However, overall coverage of religious diversity was only slightly higher in 2009 than in 1982, this was more demonstrable on the BBC than ITV. How was Islam represented in the wider television coverage? Image: Abid Katib/Getty Images. All rights reserved. In 2009, Islam was referenced more often than other established traditions, but much less so than in the newspapers. The emphasis was again on violence, including references to the Taleban and al-Qaeda. Almost half the references dealt with Islam outside Britain, particularly Afghanistan and Iraq, but also Turkey and Iran. In the week of analysis, February 2009, four BBC programmes featured Islam, including The One Show on BBC1 followed by a news item on Iran (3/2/09). BBC2 aired three documentaries, Around the World in 80 Faiths (6/2/09), Explore: From Istanbul to Anatolia (8/02/09) on Turkey, and an episode of the series Iran and the West, marking the 30th anniversary of the Iranian Revolution (7/02/09). What is interesting is the greater range and complexity of coverage of Islam outside news reporting. It is also of note that most of its coverage is of Islam abroad with only The One Show focussing on British Muslims. 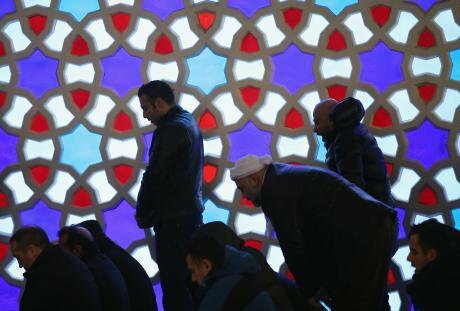 Both Around the World in 80 Faiths and Iran and the West could be accused of perpetuating stereotypical ideas about Islam. In its travelogue format, Explore provided a more diverse picture whilst The One Show was clearly aimed at celebrating Britain’s multiculturalism. Iran and the West explored the history of political relations with the West, particularly the US, in three episodes. Despite its in-depth coverage, it nevertheless reproduced well established discourses about Iran. This first episode, The Man who Changed the World, presented the history of the Islamic Revolution in Iran from a largely American perspective (including the seizure of the US embassy in Iran and the hostage crisis, followed by the start of the Iran-Iraq war). Here, the US was represented as the victim of political manipulation by a devious and clever mastermind, Ayatollah Khomeini. Employing the category ‘the West’ suggested an alliance against Iran, masking the differences between countries’ relations with Iran, and reinforcing the idea of a clash of civilizations. The construction of ‘Iran’ in the UK and America was shaped and fixed with reference to the Iranian revolution and there has been little deviation since, as was further illustrated by an evening news item which reported on the launch of an Iranian communications satellite through a lens of suspicion about Iran’s nuclear weapons programme. In this, as in other coverage, Iran was portrayed as menacing; an irrational, untrustworthy aggressor in the face of attempts by the West to make peace. A later episode of the series did offer an alternative construction by featuring Iran’s offer to help the US and its allies in the war against Saddam Hussein. Such counter discourse rarely occurs in mainstream television news (with the exception of Channel 4, renowned for its more oppositional perspective). Whilst to some extent this series represented an attempt to provide a more nuanced assessment of relations with Iran, it could not help but reinforce the perception that Iran is primarily of interest because of its relationship with ‘the West’. Around the World in 80 Faiths was a popular 8 part series, presented by Peter Owen-Jones, a Bohemian Anglican vicar. Owen-Jones travelled to different continents, reporting on and participating in the practices of a variety of religious groups and sects. Each hour-long episode featured ten religions providing a diversity, complexity and depth unusual in media coverage of religion. However, as might be expected in a popular TV format, it also emphasized the irrational, weird, and even extreme practices, and therefore inevitably contributed to ‘othering’ them. This episode, on India, featured Tibetan Buddhism, Hinduism, Sikhism and Jainism, amongst others. In its positive approach these religions were represented as non-violent and self-sacrificing; Islam on the other hand is presented as the aggressor in relation to two of the groups featured. The One Show asked ‘In Britain, are we too embarrassed to talk about religion’? The findings of their street survey suggested that it was ‘not minorities, but the white middle classes’ who were indeed so. Their unwillingness to talk about religion was juxtaposed with the open religiosity of Britain’s minority groups (including Muslims). The programme reinforced the idea of Christianity as the dominant but declining religion, in conjunction with a British identity that is multicultural. In such a representation, although minorities were ‘othered’, they were simultaneously held up as a model of self-confident religiosity for the nation. As a result of the variety of genres representing religion on television, there is a greater diversity of representations as well as some counter discourse. This was evident in the BBC 2 travel documentary, Explore, which offered a more complex portrayal, challenging both stereotypes and the homogenization of Islam, and providing a rare glimpse into the lives of a diversity of ordinary Muslims. In the same week, this was also demonstrated by the BBC4 documentary, Rageh Inside Iran (7/02/09). This diversity provides a contrast to television programming from the early 1980s when coverage of minority religions was scarce. Religious broadcasting focused generally on Christian ‘ecumenism, values and pastoral care’, the exception being Everyman, a long running BBC religious affairs programme (1977-2005), which occasionally featured other religious traditions. 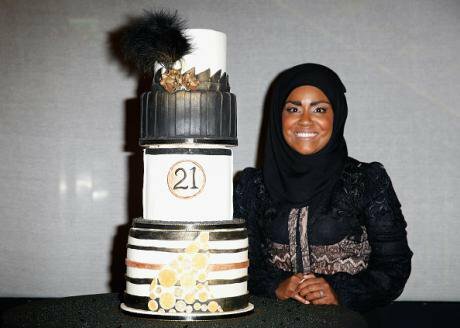 Nadiya Hussain, winner of the Great British Bake Off 2015. Image: Tristan Fewings/Stringer/Getty Images. All rights reserved. What the study showed is that the BBC news tends to reproduce dominant discourses about Islam, partly as a result of news-gathering and production processes. For example, there has been significant criticism of its use of extreme news sources, such as Anjem Choudary, on its flagship news programme Newsnight. However, due to its remit as a PSB, it is required to listen to audiences, and this is sometimes evident in its news reporting - where it has more recently included a wider range of Muslims voices and has been more careful in its use of language. We were able to demonstrate that, when you step outside the news format, with its extensive focus on conflict and terrorism, there is evidence of more diversity. Sometimes, the BBC makes a point of including Muslims in programming unrelated to Islam such as Eastenders and The British Bake Off. Aaqil Ahmed has continued to commission series that challenge dominant tropes about Islam; Make me a Muslim (2014), Welcome to the Mosque (2015) and Britain’s Muslims Soldiers (2016). But there is a long way to go. News images of Islam continue to dominate media coverage, and are more likely to be reproduced than the niche programming described here. The last BBC Annual Report (2015) showed a reduction in hours dedicated to religious broadcasting; given that 5% of references to religion came from within this despite only accounting for 1% of airtime, it clearly remains a significant resource for representations of religion. Some commentators have suggested that, due to media fragmentation which has seen the BBC’s share of the audience drop in recent years, media representation no longer matters, particularly as younger people watch less and less television and consume distinct, personalised services. But the BBC has an influence beyond its television broadcasting and immediate audience. As a PSB, it has a responsibility to reflect national culture(s) and minority interests. And in an era of increased commercialisation and privatisation, it does this better than most providers. Acknowledgements to my co-researchers Professor Kim Knott, Professor in Religious Studies at Lancaster University and Dr Teemu Taira, Senior Lecturer at the Department of Study of Religions, University of Helsinki. More information can be found in Kim Knott, Elizabeth Poole and Teemu Taira, Media Portrayals of Religion and the Secular Sacred (Ashgate, 2013).